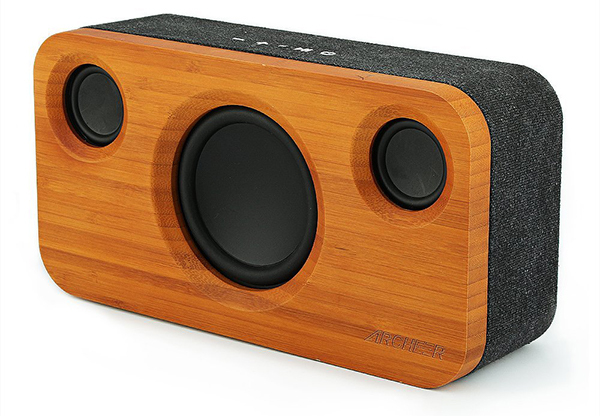 This is a 25W speaker that has solid sound and a punchy bass. 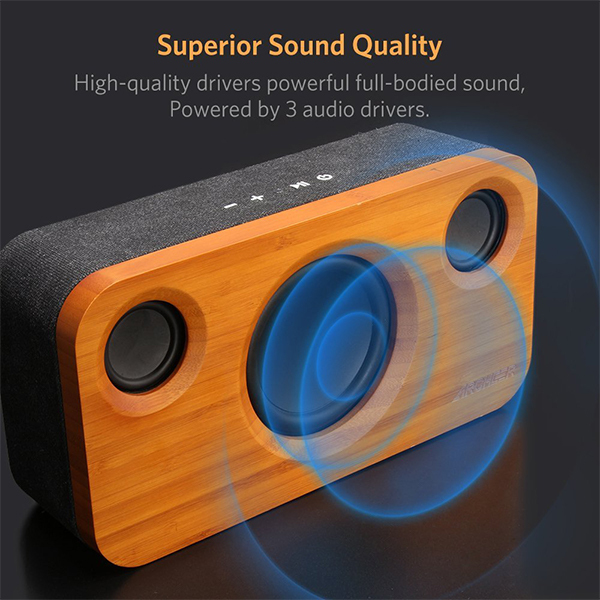 It has two drivers and a subwoofer giving you decent playback with use. Don’t let its pretty looks fool you, this box gets loud. Of course, it’s not perfect, one of its downsides is that there’s distortion at the loudest volumes. It does let you know when you’ve reached that peak though. It is AUX input with is nice for the TV or PC, however, the back needs to stay clear to get the best sound possible. Which may be a bother to some people when it comes time to decide where to put this bad boy. 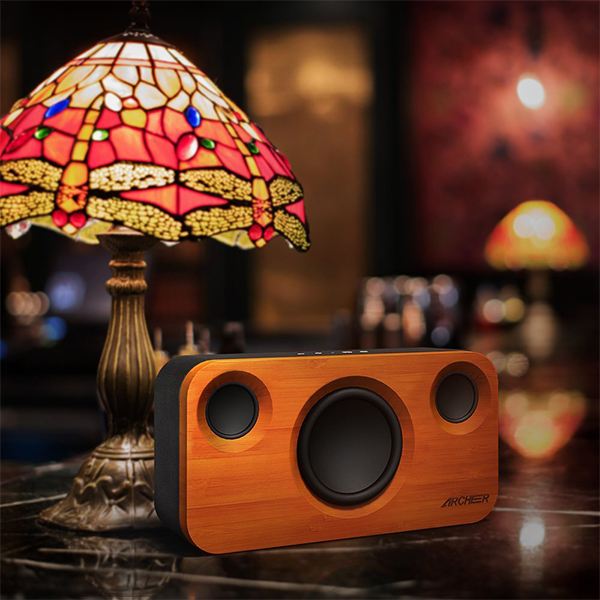 Small quibbles as it were, the speaker itself is a very good device and comes in for a fair price at $70. Check out the video for the full review!